This lined coat or bomber-style jacket offers a unique design. Both views are loose-fitting with extralong two-piece sleeves. They also feature: an attached 5-inch by 58-inch scarf, extending from a panel sewn into the right bodice; a 3-inch-wide band collar; left welt pocket; and a front zipper closure. The coat has an overlay waistband, diagonal patch pockets at the hip, and a back hemline vent. The jacket has a rib knit waistband and cuffs. This pattern is rated three out of three on the company’s difficulty scale, and could be challenging even to advanced sewers. The notions list does not include the zipper length or interfacing for either view, or the rib knit yardage for the jacket. Our tester found inconsistencies in the pattern piece labeling. 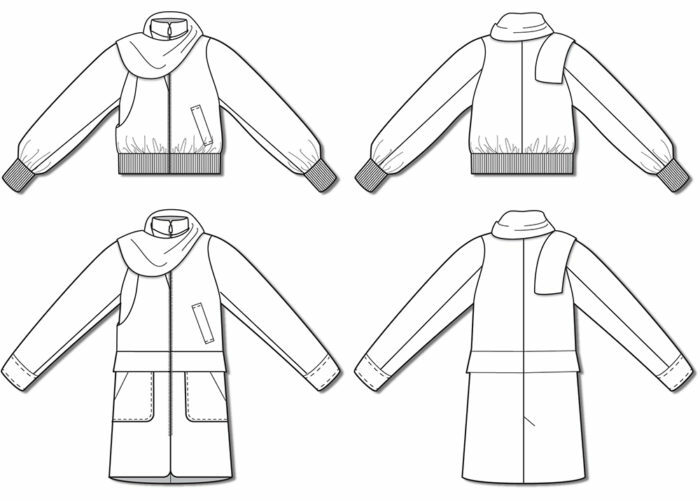 Read the instructions thoroughly before sewing, as our technical editor found some steps out of sequence and some ambiguous illustrations. We recommend sewing a test garment to practice the construction. 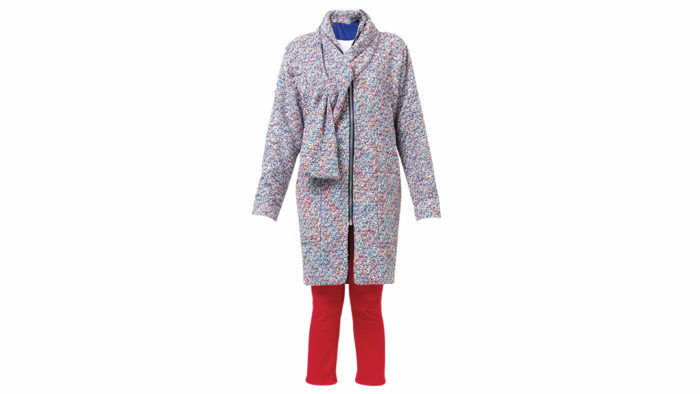 Consider bulk when choosing fabric for the coat, since there are many fabric layers where the zipper meets the waistband seam. Sewing Tip: Interface the scarf piece where it will be sewn into the zipper seam.